All aqua culture sites are required to monitor their fish and nets on a daily basis. Today, visual inspections conducted below the surface and at the seabed are normally carried out by fixed camera systems, divers or large industrial ROVs. Utilizing divers for inspections is expensive and represents significant HSE risks. Industrial ROVs have traditionally been very costly and requires extensive training to operate. Fixed cameras are limited when it comes to reach and flexibility. With the Blueye Pioneer underwater drone, you have a mobile underwater camera which allows you to carry out your underwater inspections efficiently and easily. In combination with your existing fixed cameras, underwater drones gives you the full picture of your assets below the surface. Today, visual inspections conducted below the surface and at the seabed are normally carried out by fixed camera systems, divers or heavy ROVs. While utilising divers is expensive and represents significant HSE risks, ROVs have traditionally been very costly and require extensive training to manage. Fixed cameras have natural limitations when it comes to reach and flexibility. With an underwater drone, you have a mobile underwater camera which allows you to carry out your own inspections whenever and wherever you want. With the Blueye Pioneer underwater drone, you quickly and easily have your own eyes below the surface. 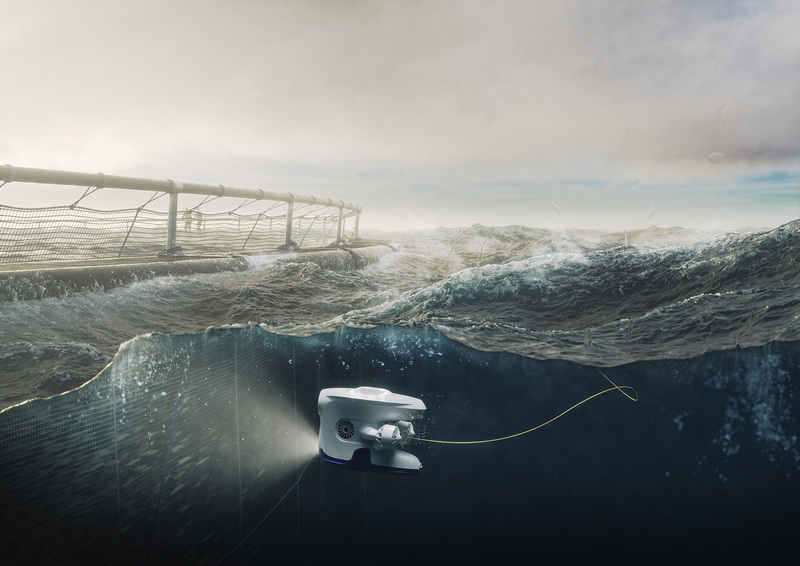 Fish net- and mooring inspections are easily completed with the Blueye Pioneer. You deploy it directly in the water, and within minutes you can perform your own underwater inspection. This gives you the opportunity for better decisions making, improved planning, and reduction of unnecessary repair costs. In some areas of the world as well as in some situations, it is impossible to deploy a dive team on short notice. Typically, you need to get the divers to your location before you can do any underwater inspections, and that can in some situations take days. With the Blueye Pioneer, inspections can be done immediately. The cost of one drone is nearly the same as deploying one dive team, and the drone can be operated by crew with minimal training. 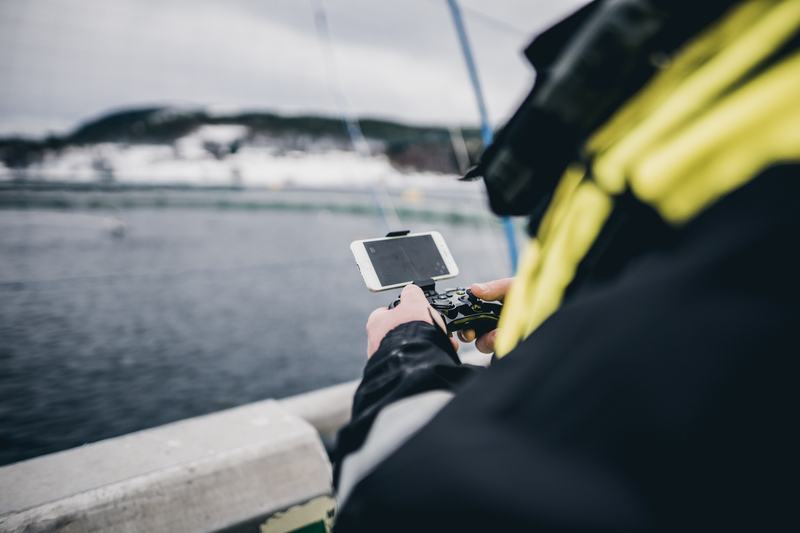 Most fish farms have fixed camera monitoring equipment in place, but an underwater drone will give access to areas cameras cannot reach. A combination of fixed cameras and an underwater drone will give you the full picture. In the case of an unforeseen incident, you need to get a clear view of the situation before you make any decisions. There are many situations, where the fish farmers are in doubt if anything has happened with the fish farm infrastructure below the surface, typically after heavy weather or after regular service work performed by service vessels. Due to high deployment cost of both divers and external ROV operators, necessary inspections may be neglected or delayed. With a Blueye Pioneer, inspections can be carried out on site in any situation, leaving nothing uncertain and keeping the assets in safe conditions. At some locations, the sea current makes it difficult and hazzardous to use traditional ROVs to perform underwater inspections. The Blueye Pioneer is equipped with 4 powerful thrusters, and in combination with the unique hull design, this makes it possible to perform high quality underwater inspections in conditions that very few ROVs are able to tackle safely. The Blueye Pioneer App gives you the possibility to stream your video footage live with external viewers. This can be vital in some situations when you need to discuss your findings with experts onshore. To stream live video footage you need minimum a 4G internet connection and external streaming hardware. 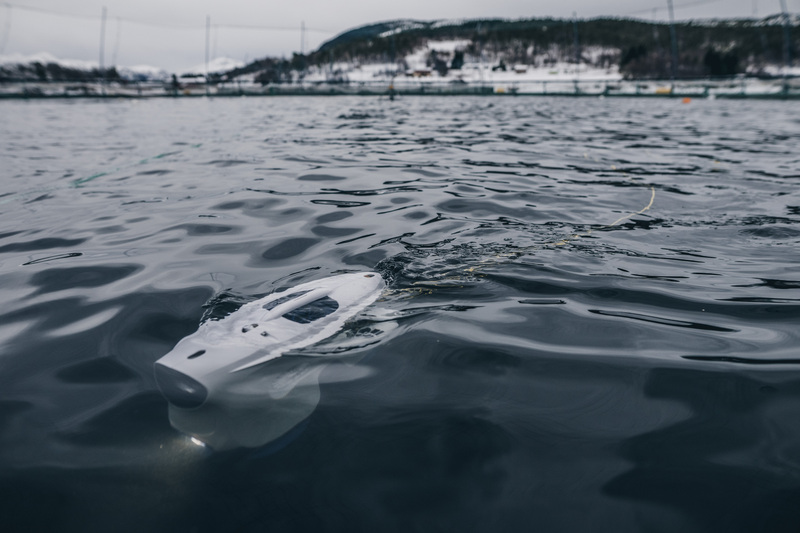 The Blueye Pioneer underwater drone has been developed by the Trondheim-based company Blueye Robotics, together with world-leading subsea experts that are experienced with the harsh Norwegian offshore conditions. It is designed to satisfy industrial performance and reliability demands for underwater operations, and with a user-friendliness you normally would associate with consumer technology products. Read more use cases with the Blueye Pioneer underwater drone.